We’ve been saying for years that cell phones would eventually get so small as to be wearable or implantable. Designer Issam Trabelsi is taking a step toward making that a reality with his concept phone that is essentially a fingertip ring that functions as a phone. 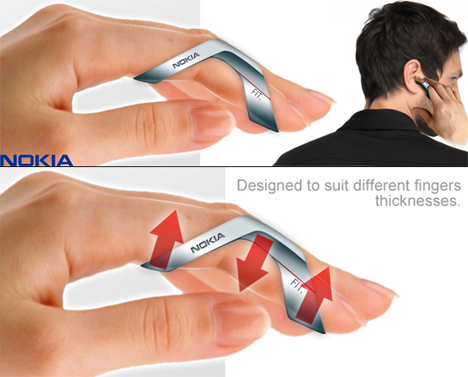 The phone, branded by the designer as Nokia FIT, is a flexible rubber and silicone device that fits over the top of the index finger. 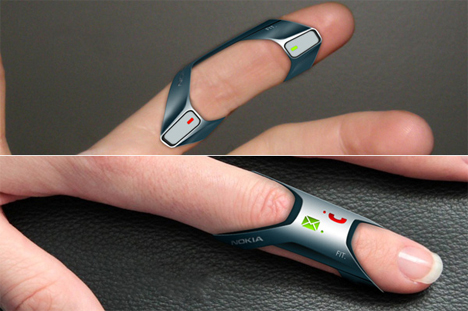 When you get a text or phone call, the FIT vibrates to alert you. Talking on the phone is as simple as holding your finger up to your ear. 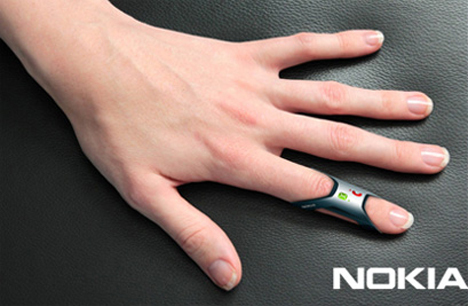 The Nokia FIT is even waterproof and can fit many different sizes of fingers. The designer’s renderings aren’t entirely forthcoming about how exactly the tiny gadget would work for texting or making calls since there doesn’t seem to be an interface of any kind. But as a Bluetooth-connected accessory, we can definitely see the FIT becoming an essential extension of future smartphones. See more in Unbuilt Concepts or under Technology. March, 2014.